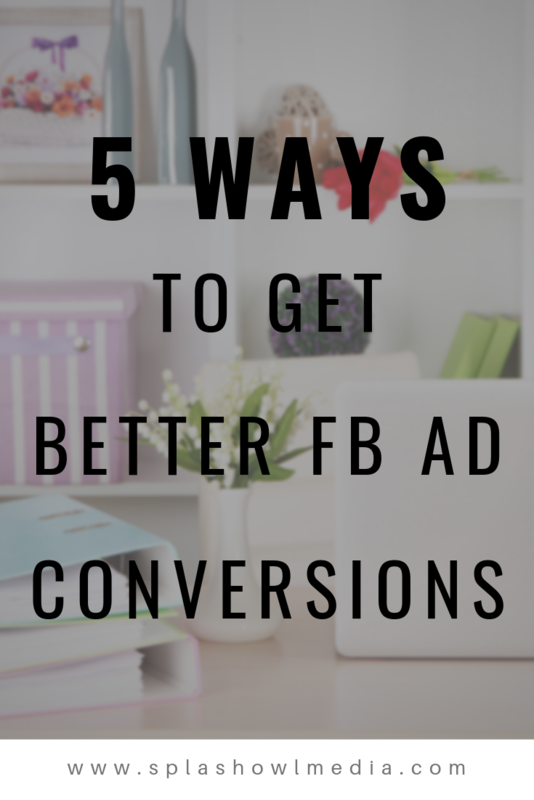 Facebook Ads are awesome and can seriously mean big changes for a business…when they convert. And that can be hard to achieve, especially if you’re getting started on the DIY journey. Here’s some way to improve your campaign’s success and get better conversions. #1. 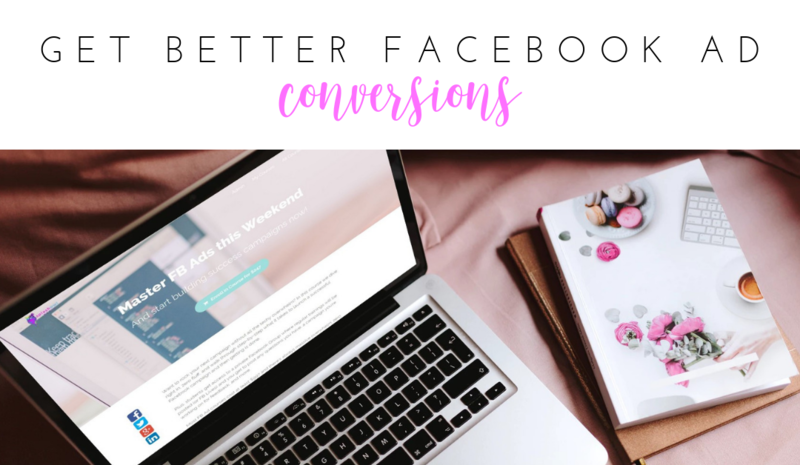 Build up Social Proof – Have you ever been scrolling through Facebook and see an ad from someone (or a company) you don’t know? It piques your interest BUT it doesn’t have a lot (or any) likes, comments, or shares. This completely turns people off. People want to buy what other people are buying. Being the “first” sends people running no matter how good your offer is. Establish some social proof before pushing this ad to a cold audience. One way you can achieve this by posting on your business page what you want the ad to look like. Get engagement there, then create a “post engagement” campaign through your ads manager. #2. Sweeten the offer – If you see a lot of people running the same ad, go the other direction. Chances are the market is about to catch up and you’ll be ahead of the shift. Make the offer easy for them to consume and help fix ONE major problem in their lives (or with their business). #3. Test Your Audiences – My recommendation is to start with about 5 different audiences and test them to see where you’re getting the best conversions. Turn the others off and move the budget to the ones that are outperforming the rest. #4. Check Your Copy – Make sure your copy speaks to the audience you’re targeting. This is super important. The way you talk in the copy can attract or turn away potential customers/clients. Understanding the language, phrases, approaches, etc that a particular audience is attracted to is going to mean better conversions for your campaign. Also, the copy you use for a warm/hot audience is going to be different than how you would talk to a cold audience. #5. Let the Graphic Speak – If you’re using a static image in your ad, make sure to use the 20% rule. Facebook no longer rejects these ads that use more than 20% but they do limit your exposure meaning you’re going to pay more per result. Be careful and strategic. I also recommend testing at least 2 different images and see which one converts the best. Overall, you DEFINITELY want to make sure that you test your campaign. This will help save you money in the long run and will give you the analytics you need to move forward with future campaigns too.